Rolfes Henry proudly announces that Zach McCune, a Partner in our Cincinnati office, has recently completed a rigorous course of training and testing through the National Association of Fire Investigators, and has received his designation as a Certified Fire and Explosion Investigator – a certification held by only a few attorneys in the United States. NAFI’s Certified Fire & Explosion Investigator (CFEI) program is an international registry that recognizes qualified fire and explosion investigators. It provides the dual benefit of establishing a standard for evaluating the qualifications of those conducting fire, arson and explosion investigations, as well as creating a benchmark for investigators who wish to establish their professional credentials. It is the only Fire Investigator Certification based solely on the scientific principles of NFPA 921, the international “gold standard” regarding how to conduct fire origin and cause investigations. Zach has nearly a decade of experience in handling fire claims and cases all over the United States. His practice primarily involves counseling and representing insurance companies in fire science litigation, complex fraud and coverage investigations, and bad faith litigation. Zach’s extensive fire science experience includes fire and explosion causation investigations, prosecution and defense of Daubert expert witness challenges, catastrophic burn litigation, and complex arson investigations. 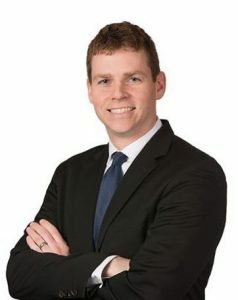 Zach also serves as a leading firm and industry source for implementing technological and forensic advancements into fraud and coverage investigations, with a particular focus on computer and cellular telephone technology. By obtaining this certification, Zach and Rolfes Henry will continue to be able to provide a strategic advantage to our clients in any case or claim involving a fire or an explosion, anywhere the country.